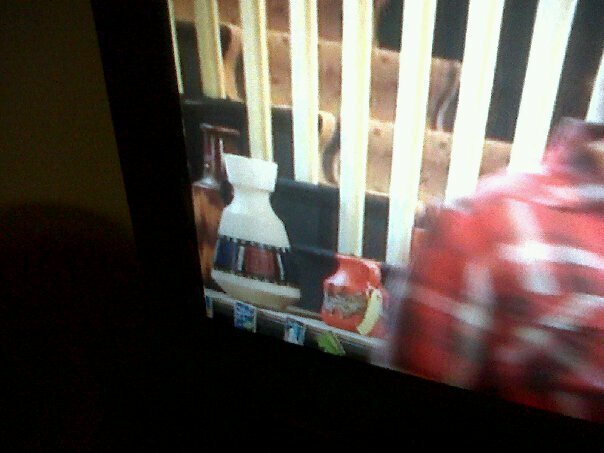 Spotted: West German Pottery on the BBC! I spotted it last night while I was watching ‘Miranda’ on BBC2. Needless to say, I got a little bit excited… The programme was pretty good too! Looks like a Scheurich, a Dumler and Breiden and perhaps a Carstens? What’s been your most unlikely WGP spot? Previous Post Bernard Buffet: Mass Market Art? I saw that episode of Miranda too! What a coincidence. Didn’t see the pots though. Did you look for them again this week?? They were there, but had moved position! I keep forgetting to tell you in person so whilst I remember; there is a nice Scheurich on the windowsill of the house that’s just before you get to the Last Orders pub on the left hand side of the road on the way to the Glossop train station. I think your best not taking a picture of that one. Nearly the last scene of James Bond Quantum Solace is a room with lots of Sklounion glass and 1 nice Fat Lava Dümler & Breiden vase in there. We’ve got Quantum of Solace on DVD – I think we’re probably going to end up watching it soon now you’ve told us that!